Paper: "Alienation of Assyrian Political Performance in Diaspora"
Could this conference have been planned for a lovelier time of year in this capital city of Russia and the old USSR? The dazzling green of the chestnut trees, the colors of St. Basil's cathedral and the red brick walls of the Moscow Kremlin greeted Assyrians staying at the Rossiya Hotel, in the heart of the city. Assyrians came from many parts of the world: but for those of us with jet lag, we could only think that we were dreaming to meet activist Assyrians from St. Petersburg, from Vladimir, from Krasnodar, from Kazan (in Tatarstan), and even from Alma Aty (Kazakhstan) as well as Erevan, Arzin and Tiflis, place names which are more familiar. And the wonder of it all was that we could actually communicate with each other, forgiving the words thrown in Russian or English. 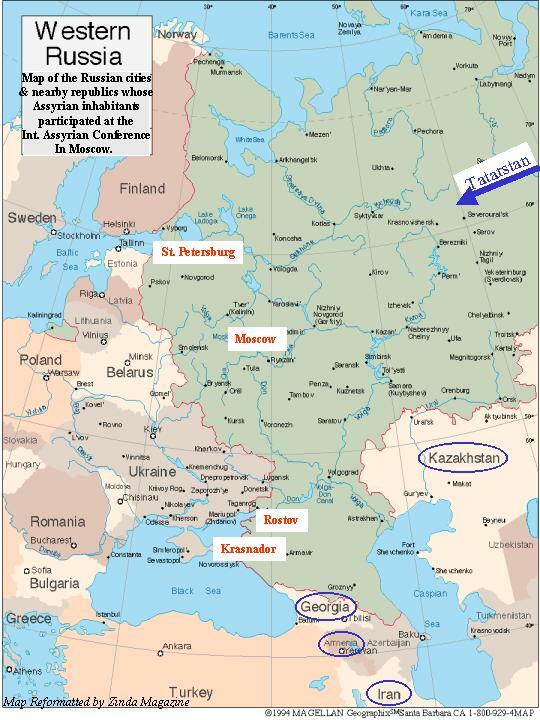 The planning for maximum convenience, comprehension and entertainment had begun nearly a year ago in Kazan, hosted by the Assyrians of Tatarstan (with state funding), headed by its president Arsen V. Savva. From there, the organizing committee, consisting of scholars, lawyers, businessmen, had worked to provide participants with a printed program, tasty coffee breaks, and for those on the program, good seats at the Bolshoi Ballet on a Friday night, and an unforgettable boat ride with dinner and music on the Moscow River that went from early evening to well past two am. Yes, there was little problem with the simultaneous English/Russian/English translation, especially given the proclivity of Russian for the double negative. After presenting our papers in English, some of us were politely pulled aside by members of the audience who asked us in Assyrian why we said such and such. We protested we had said just the opposite and wished all the talks had been given in Assyrian. But there were a handful of non-Assyrians or Assyrians whose native language is not up to the level of our main host Prof. Sarkis Osipov or that eloquent Assyrian from London and Dubai, Aprim Shapira. The delegation from Dubai included four persons, from Iran one, from Sweden two, from Germany one, from the US six. The only non-Assyrian making a presentation was the respected Dr. Gabriele Yonan whose lecture about Identity and Genocide garnered great interest. There is much talk of a follow-up conference at a number of locations. Where there is cooperation, so much can be done, in good taste and with respect to all. This is a lesson to all Assyrians. In today's time where the Assyrians have been living in all the corners of the world and under the present situation of globalisation, the importance of conferences and international gatherings comes as a democratic and practical method of exchanging ideas and experiences among intellectuals in order to preserve national identity and develop Assyrian existence in homeland and Diaspora. Thus the Assyrian conference in the Russian Federation comes as a consequence in this direction. The Editorial board of "Melta" Bulletin organized the conference with support of a steering group of the Assyrians of Russia held under the title (The Assyrians Today: Issues and Perspectives) at the Moscow Hotel conference room. The agenda of the conference was based on four streams; The Issue of the Assyrians in the Middle East, Assyrian Communities in Diaspora, Perspectives of Development, and The Way to Rapprochement of the Different Tribal and Confessional Groups. The official conference languages were Assyrian, English and Russian - simultaneous interpretation was provided. · Sports as a Factor of Consolidation of World Assyrian Diaspora (Mr. Igor Bar-Sliva - Moscow, Russia). · Forming a Political Elite is the Main Mechanism of National Revival (Mr.Edward A. Badalove - Moscow, Russia). · Repression against the Assyrians in the USSR: 1920 - 1953 (Professor Mikhail Sado - St. Petersburg, Russia). Professors Sargis Osipove, Eden Naby-Frye, Ronald Thomas, Mikhail Sado and Tamraz Ivanov all participated in chairing the sessions. On the last day of the conference and during the open discussion a unanimous decision was taken that the conference should become an annual event due to the fact that many constructive discussions took place and fruitful results reached during the sessions which need further details and persistently pursuing and studying. The conference program included not only the above sessions but a number of social and cultural activities starting with attending a ballet performance at "Bolshoy" - The Grand Opera House, in Moscow and visiting Red Square & Kremlin, historical churches & museums, a dinner cruise across Moscow River, and above all visiting Assyrian families of whom some had preserved their Assyrian way of life, traditions, food and even "Raweh" and "Lilyanah", the oldest Assyrians songs. A special thanks and credit should be forwarded to the Assyrians who financially supported this conference. The following paper by Mr. Aprim Shapira was submitted at the Assyrian International Conference in Moscow. 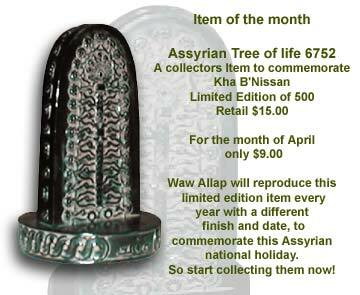 Every Assyrian who leaves the homeland carries with him his most treasured personal articles. He also takes along with him a less visible suitcase, one that contains the ideas, methods, behaviours, beliefs, and memories stored in his brain. This "mental suitcase" may also include some aspirations, thoughts and feelings, particularly as concerns politics and Assyrian nationalism, which due to tyrannical policies of today's regimes in the Middle East, have been stored in the back compartments of his mental suitcase (subconscious mind). Once socially and financially established in the Diaspora, in due course he will replace personal effects with new ones, thereby giving him an appearance in keeping with his new surroundings. But what becomes of the mental baggage? Is it as easily altered as the contents of the first suitcase? It does happen in some cases; the individual thoroughly merges into the new society. But it would seem that, for the most part, this does not occur for a period of time - may it be short or long. The ideological baggage brought from the old world remains unaffected, and this has a bearing on his national and political outlook. In effect, the immigrant finds himself in the Diaspora, but his brain is preoccupied with the homeland. This is what is meant by "alienation". Current studies in political sociology have concluded that as soon as an emigrant arrives to his new adopted country, contents of his "mental suitcase" gush out. Emotionally and in yearning, he will remember his old house, the street or the alley where he played football or marbles with his childhood friends, and the school where he studied with his colleagues. In the event of meeting one of these colleagues, the past memories will come to the present, and I believe many Assyrians have experienced such flickers of memory. Some will try to re-establish the past in a new form. Habbaniya reunions and the Kirkuk gatherings are good examples. On the national and political side, the "Return of Subconscious" is another remarkable phenomenon of the Assyrian nationalism in Diaspora. In a democratic environment, national identification that is confined in the subconscious mind will flourish and reappear. As a result, overnight we see many "Oomtanaye" and political parties appearing in the Assyrian political arena, regardless of whether they are a "true political party" or just a "one man party". In such cases, the Assyrian immigrant alleges that he was always a nationalist, but the tyrannical regime rejected and oppressed his sense of nationalism. In Diaspora while out of dictatorial regime's reach, he will exaggerate his love for Ashour with abundance of care and loving feelings toward his nation. As such, the Assyrian might no longer be living in Ashour, but Ashour will continue to live within him, in his thoughts and conscious, as an important spiritual and moral element. Ashour, as result of his emigration, is now transferred from an objective matter to a subjective element, from a geographical factor to a spiritual motive; therefore, the spirituality of Ashour will be strongly reflected in his national and political behaviour and performance. Such Assyrian resembles a man who is in despair and romantically in love with the first girl that he met, but is married to someone else. One can imagine the contradictory and confused life his may be. To be more specific, if we take a quick glance at the Assyrian political parties, we easily find that Ashour is the core of their bylaws, aims, programs and agenda. Meanwhile, there is no reference to facts or reality, and to objective elements of the Assyrian society in Diaspora, where these parties are established and function. Most obvious proofs of the Assyrian political alienation are the Assyrian political party bylaws. Through a quick glance of these documents, we find that apart from the name, the ideologies and the contents have been adopted from bylaws of the Middle Eastern political parties. A reference to the philosophy of these political party bylaws will attest to this claim. Political scientists usually classify political parties based on many components, bylaws being the most common. In accordance with basic structures adopted in their bylaws, political parties in general are categorized into two types: First, parties which adopt cells as their basic structures, and second, those that adopt committees, sections, or branches as their basic structures. The first type was created by Lenin, the founder of the Russian Communist Party, and was imposed since 1920's on all Communist and affiliated parties. The "cell system" are convenient in the politically and socially backward countries where the totalitarian policies dominate. The structure is based on small number of members with close and very limited association, which in turn provides better security against government break-ins and any pursuits against party members. Since discipline and strict commitments are necessary, the bylaws of these parties are very important elements in political performance. Most political parties of the Third World countries adopt this type of bylaw including Ba'ath Arab Socialist Party, Kurdistan Democratic Party, Assyrian Democratic Movement, and the Assyrian Democratic Organization. The other type of political party structure is based on committees, sections or branches. It comprises a larger number of members, and is mostly adopted by democratic societies that are politically advanced, and where political freedom is practiced. Contrary to the "cell system" party, the bylaw is less significant, and more flexible. Unaware of those theories, most Assyrian political parties have adopted the first type of bylaw that was transferred or copied from the Middle Eastern concept of political parties, or was carried in their mental suitcase. Such political parties and their bylaws can only succeed in dictatorial environments and will not be valid and practical in democratic societies. Thus, Assyrian political parties are known to the public through one or two of their prominent members, and not their ideology, beliefs, agenda or bylaws. In other words, they are without clear and observable guidelines, and portray a very ambiguous vision and objectives. I would also like to reflect on two evident facts (one positive & one negative) in the life of the Assyrian society in Diaspora: First, Assyrians who live in the Diaspora, in general and with a few exceptions, live as Assyrians and with strong feeling of nationalism. Even those who do not keep up with traditions, or do not speak the Assyrian language, or those who were born in the Diaspora and have never seen the homeland, see Ashour as a strong spiritual and mental resource for their ethnic belonging. Ashour is reacquiring its characters of godhood among the Assyrians of the Diaspora. Second, it is real and evident that social contradictions and diseases such as tribalism, denominationalism, selfish individuality, and biased partiality are aggravating, and in many cases are forming in national organizations or political parties, and even in media. These contradictory conditions of the Assyrians in democratic environments provide Assyrian political parties the opportunity to actively function and achieve their national aims. Yet, most of them are following their unreachable spiritual and subjective aspirations, and completely neglect and ignore the practical and achievable objectives. Implementing the subjective or spiritual nature of Ashour that lives in every Assyrian's mind to the objective nature of the Assyrian society in the Diaspora is impossible. In other words, Assyrian political parties objectively exist in one dimension, yet mentally in another - miles and miles away. Human performance cannot be productive when spiritual (or subjective) and material (or objective) elements are in separation. Thus, achievements of the Assyrian political parties are imperceptible, and very limited in the Diaspora, such as irregular newsletters, occasional press releases, and participation in an annual celebration. Even worse, there are few Assyrian political parties, established for many years, capable of publishing even a one page newsletter. Yet they claim they act for the liberation of Ashour. As result of their failure, these political parties experience constant retreats, division, decrease in membership, and therefore, their credibility and popularity vanishes among Assyrians. It is true that Assyrians are not the only ones in the Diaspora establishing political parties, and struggling to secure national and human rights in their homeland. However, there are few facts that make the Assyrian case an exceptional one and different from others. First, Assyrians live and establish their political parties in the Diaspora. Political parties or liberation movements of other nations are established in exile, not in the Diaspora. Diaspora is a permanent situation, a new land of citizenship for those who choose to emigrate, and not necessarily for political reasons. Diaspora soon becomes their new homeland. Exile on the other hand, is a temporary situation, and mainly a foreign land to its emigrants that are smaller in number than those in their homeland. An exiled group is normally very politically involved in the liberation of its homeland from outside occupiers or from existing regimes. As soon as this goal is achieved it is very likely that the exiled group will return to its homeland in order to participate in the new government or perform politics. Second, The most exceptional fact regarding the Assyrians is that their number in Diaspora is greater that those who remain in the homeland, and the number of emigrants is constantly rising. Majority of the Assyrians live in the Diaspora, and have already established themselves socially and economically in their new home in order to enjoy a stable life for an invisible future. All aspects of their lives indicate that there is no willingness to return to their homeland. Perhaps in today's times, we can hear many Assyrian politicians claiming that as soon as Saddam is removed from power, they will immediately return to Iraq. Today, the phrase "Return to Homeland" is no more than an "emotional dream" of the alienated Assyrians. Third, it is odd that almost all Assyrian political parties claim an independent or autonomous state for the Assyrians, or they promote the "liberation of Ashour". At the same time, the party leaders and members enjoy all the comforts of the West, and try their best to have the rest of their family or relatives that still remain in the homeland to join them. The same is true about the so-called national and church leaders who are preaching to the despaired Assyrians in the homeland to withstand and bear all ordeals and sufferance for the sake of Ashour. Meanwhile, they have already pitched their tents in the West, and are enjoying all its welfare and benefits, and are trying legally or illegally to fetch their families to join them. How do we expect our unfortunate Assyrians in the homeland to believe in such claims and appeals that are known to them as no more than "deceitful tears for Ashour"? This truly is not only a national problem, rather a moral dilemma for Assyrians. Such claims without any clear objectives, and no minimum sacrifices are simply "national hypocrisies", the clearest character of alienation of the Assyrian political performance. Moreover, there are many national claimants, who were not born in Ashour or have never been there even as a visitor and hardly know what their true claim is. It is fair to mention that few Assyrians involved in the national cause, and one or two members of the political parties have traveled to North of Iraq (Garbia) in recent years, and have supported the national cause in North Iraq financially and morally. However, these are only exceptions and conclusions cannot be reached based on exceptions. Political scientists confirm that any nation without active political parties will mortgage its national determination to other nations, and consequently will remain a nation without a national will. As Assyrians, we cannot afford to give up our national and self-determination, or be controlled by others. We must be our own masters; that is our legitimate right, and we need active and strong political parties to support this cause. Since our currently established parties are not performing adequately due to the alienation from their objective and practical reality, must we establish new ones? The number of Assyrian political parties whether in a true sense, or as "one man parties" or "occasional parties" relative to the size of our population is rather large. The concept of "population control" in demography should be applied to the Assyrian political parties. In other words, we need "political party control". On the other side and based on history and experience, it is evident that a "single-party" system regardless of its power and strength cannot represent the entire people of a nation. As a result, the interests, national and political objectives will be jeopardized and sooner or later the nation will be led to destruction, as we have witnessed through the fate of the dictatorial regimes throughout the history. Assyrians need a small and sufficient number of real political parties proportionate to the size of their population, their economic & financial capabilities and social & cultural mentality. (My study in details on this subject will be coming soon). In order for Assyrian political parties to succeed in achieving their goals, they must liberate themselves from their political and mental alienation. Firstly, they must replace their old, stagnant and alienated agenda and bylaws with new ones that are compatible with living in democratic societies. They need to rearrange their priorities and find a way of balancing the objective and subjective elements of their actions. They must realize that they no longer live in Ashour, and Ashour should be the subjective element of their goals and aspirations. Their objectives and goals should be concentrated on the Assyrians in the Diaspora. Once they understand and put in practice the art of balancing the two elements, then they will realize that their goals are achievable. Once they achieve the goal of reviving the Assyrian society in the Diaspora, only then will they strengthen the position of the Assyrians living in the homeland. Revival of the Assyrian society in the Diaspora will strengthen the Assyrians in the homeland, and vice versa. I would like to use a theoretical analysis to illustrate how it is possible for an Assyrian political party to practice real politics, and achieve its political goals. Politics as any other social concept has many definitions and theories. I will use the following two definitions for our purpose. Political scientists define politics as "Demography on Geography" and as "Technique of Possible". Demography on Geography defines politics as all things related to a population, their life, progress, and activities on a specific plot of land known as a country or homeland. Technique of Possible defines politics as a matter of wise dealings with practical choices, facts and realities. Politics is how to use the available means and resources in dealing with facts and diverting them to a practical status, and eventually to achievable goals. Politics based on this understanding never deals with wishful thoughts and dreams. Accordingly, we can say that the Assyrian Democratic Movement (Zowaa) in the homeland is a true political party practicing real politics. Why? Firstly, Zowaa was established and is performing its politics on a plot of land that Assyrians call homeland "Ashour". Secondly, Zowaa as a political party is using all possible and available resources to achieve practical national objectives. Thus, Zowaa has successfully achieved important objectives, many first in their kind for the Assyrian nation. Contrary to Zowaa, Assyrian political parties in the Diaspora are not practicing real politics. As a result, nearly all of their political agenda is far from being achieved. The Assyrian political parties must realize that they exist in the Diaspora, and they should make this fact the objective element of their goals, not Ashour that is geographically so distant from the demography that they ought to tend to and serve. In addition, most of their activities are directed toward impossible goals, while they are neglecting the practical goals that could be successfully achieved given all the support and protection offered by the Western governments to the minorities and immigrants. Therefore, it does not come to us as a surprise when we see that our social institutions are more successful in achieving their goals than our political parties. The Assyrian Aid Society, and in particular Atra project of the honourable Dr Ashour Muradkhan, is a great and clear example in serving and protecting Ashour. The reason for their success is that their goals are based on reality and not on dreams and romantic illusions. In conclusion, for Assyrian political parties to practice real politics with achievable goals based on the balance of objectivity and subjectivity, they must realize the simple fact that Assyrians of the Diaspora should be placed in the center of their political arena. The issues that they need to tackle are tribalism, religious denominationalism, and other social and mental diseases. They need to encourage the Assyrians' involvement in national causes, and their support for their brethrens in the homeland. They must take on projects to assist and encourage the Assyrian youth to pursue higher education, and to sponsor cultural and linguistic projects. Moreover, the leadership and the members of the political parties must be aware of the current political events of the country that they live in, to actively lobby or nominate the individuals that they support who can benefit the Assyrian political cause. Or even take roles and positions in governmental posts as an American Assyrian, Australian Assyrian, British Assyrian or German Assyrian. This should be the path taken by the Assyrian political parties to serve and protect Ashour, not by serenading romantic poetry, fiery words, and meaningless slogans directed at the liberation of Ashour. Mr. Yeilmas Karemo is a perfect example. He is an attorney who holds a Swedish citizenship, and was a member of the Assyrian Democratic Organization (Mtakasta). He joined the Swedish Socialist Democratic Party, and in 1988, he was elected in the Swedish National Parliament, and is planning to run for the European Parliament. Mr. Karemo is an active Assyrian and a great supporter of the Assyrian cause in the homeland and around the world. We are in desperate need of more Karemo's, and of active & strong political parties in order to control and determine our national destiny. (ZNDA: North Iraq) About two weeks prior to the softening of sanctions on Iraq and in the midst of a probable regime change, an Assyrian engineer was found dead on 2 May. On 5 May Zinda Magazine was informed that the body of Mr. Jamil Shidrak Keana, 42, a Chief Engineer and Director of the Control Section in Nuclear Energy, was found, presumed assassinated on 2 May. Details are sketchy at this stage but official reports claim suicide was the cause of death; however non-official intelligence points to a political execution. Mr. Keana was found suffocated by a cord around his neck and plastic bag over his head. No further information is available at this stage. I think it is obvious what democratic change is. The principal problem of the Iraqi state is the lack of democracy in the rule of Iraq. Since its establishment until now, year by year Iraqi government has become the rule of a minority, and the essential elements of democracy, human rights, freedom of expression and rights of nations have been ignored and repressed. Radical democratic change in our view means a democratic, parliamentary Iraq with change of power by means of the ballot box. The army should not interfere in politics; the people of Kurdistan, Turkomans, Assyrians and Shi'i should be represented in government according to the ratio of their population. We think these are essential changes. It would be unfair and inappropriate if we, who are victims of political and national oppression and [Iraqi] Arabization policy, are unable to have understanding towards the Turkoman and Assyrian peoples, who are our fellow citizens and are victims of the same policy. But, I believe, the responsible stance of the Kurdish leadership is that the Turkomans and Assyrians should be in the same front with the Kurdistan people, and be on the same side. Together, we all call for pluralism and democracy for Iraq so that the policy of ethnic cleansing, Arabization and genocide would not be repeated. As a Kurd, I cannot expect the Iraqi government to behave fairly with me, take Kurdistan and its people's rights into consideration and endorse them, while violating the rights of Turkomans and Assyrians. The Turkomans, the Assyrians and ourselves have the same interest, and that is for the authority in future Iraq to be based on multilateral participation of the peoples of Iraq rather than being restricted to the Arab Sunni minority. (ZNDA: Morocco), The Assyrians, through the Assyrian Democratic Movement (ADM - Zowaa), were represented at a conference in the Moroccan capital Rabat. Organized by the International Federation for Human Rights (FIDH), the International Alliance for Justice (AIJ), the Moroccan Association for Human Rights, the Moroccan Organization for Human Rights, and the European Commission, the conference was held over four days between Thursday 9th May and Sunday 12th May. The conference's aim was to highlight human rights problems of various ethnic groups around the world and to develop frameworks whereby the cultural specificity of these groups could be recognized at an international level. Mr William (Narsai) Warda, Editor-in-Chief of Bahra, took part in the seminar after he was recommended to FIDH by the International Alliance for Justice in France. Others present included the president of FIDH, Driss El Yazami; Silvia Cravero, the head of UNESCO in Rabat, Morocco; Diane Ala'i of the Baha'I International Community (UN office); Selahattin Esmer of the Human Rights Association of Ankara and about 80 other human rights defenders (from over 30 human rights associations), academics, experts on cultural diversity from Lebanon, Jordan, Palestine, Syria, Egypt, Tunisia, Algeria, Turkey and Morocco. Mr. William Ward highlighted the Iraqi government's human rights record about which very little is known in the Arab and Western world; the policy of forcible assimilation; ethnic cleansing; the systematic destruction of the cultural, linguistic, religious and ethnic identity of various communities in Iraq; and the current situation of culture and intellectuals in Iraq. The AIJ highlighted the tragic situation of Iraqi refugees and of internally displaced persons (IDPs). Iraqi refugees are the second largest group of refugees in the world after the Afghans. They number 3-4 million and the IDPs number more than one million. The AIJ called upon the governments of Arab and neighboring countries and the UNHCR to guarantee the right of Asylum to Iraqi refugees fleeing the repression of the regime and not to detain and return them to Iraq as was the case of 300 Iraqi refugees in Lebanon in April. The AIJ presented a paper on the situation of Kurdish culture in Turkey, Iran, Syria and Iraq and proposed a series of recommendations to protect and develop it. Given the number of tragedies and conflicts experienced by the Kurds in the twentieth century without a solution to this problem there will be no stability in the Middle East. The AIJ demanded the Arab League to organize a regional conference on the Kurdish question. It also asked the UN to take a similar initiative to organize an international conference on the Kurds, and recommended several mechanisms to protect and promote cultural diversity in the region. Moreover, the AIJ denounced the ritual silence and the complicity in the Arab-Islamic World towards the suffering of the Iraqi people, in the hands of Saddam Hussein's regime, the unilateral discourse in favor of the Iraqi regime's rehabilitation, the double standards in the region as well as the squandering of Iraqi people's resources for the regime's propaganda machinery. Given the gravity and the breadth of the Iraqi government's crimes the AIJ called upon the Arab organizations to support the idea of an International Ad hoc Tribunal for the Iraqi government's crimes of genocide, crimes against humanity and crimes of war. Most of the participants were responsive to the recommendations of AIJ and expressed their solidarity. Mr Warda was very pleased with the results. "These 80 representatives from over 30 organizations, societies and institutes concerned with international human rights signed a recommendation that the Iraqi authorities officially respect and recognize the linguistic, cultural and national specificity of the Chaldo-Assyrian people, in the framework of Iraqi national unity. This is a positive step towards respect for cultural diversity and the importance of protecting our uniqueness. It was an opportunity for Assyrians as a nation to meet with others who have suffered like us - for example, the indigenous peoples of Morocco and Algeria, the Copts of Egypt and the Kurds in the Middle East. The seminar showed the importance of Human Rights organizations around the world in getting issues of cultural diversity into the international arena. " From the beginning of the last century the Assyrians have not been recognised as a culture with national rights and their cultural and linguistic specificity has not been respected in Iraq. Their demands are concentrated on recognition within the constitution of their cultural and national existence within the framework of national Iraqi unity and sovereignity. We ask that the Assyrian suffering and demands are brought to bear so that pressure is put on the Iraqi authorities to respect the culture and specificity of the Assyrians as an indiginous people of Iraq. Firstly, we are pleased to participate in the Regional Seminar, "Euro Mediterranean Partnership for Cultural Diversity and Universality of Human Rights", and we thank the organizers of the conference, the International Federation for Human Rights (FIDH), the Moroccan Association for Human Rights, the Moroccan Organization for Human Rights, and the European Commission. As the conference deals with multiculturalism and the universality of human rights, it gives us the opportunity to talk about Assyrians as one of the original "colors" of Iraqi society. Iraq is a "mosaic society" that has multiple nationalities, religions, faiths, and cultures. It consists of the Arab, Kurd, Christian, Yezidi, Sabean and Mandaen nationalities and the Shia, Sunni, Chaldean, Syriac, Nestorian, Catholic, Orthodox and Protestant faiths, among others. The Assyrians are considered one of the original or indigenous populations of Mesopotamia, Iraq, where their written history goes back to 4750 BC. Despite this long history, they still keep their traditions, habits, and Syriac language which is a development of the Akkadian language in their original countries (Iraq, Syria, Lebanon, Turkey and Iran). And despite the fact that they differ politically from one country to another, their goals concentrate on Mesopotamia (or what we call in Syriac "Bet Nahrin", the territories between the two rivers, Tigris and Euphrates). The number of Assyrians in Iraq is about 1.5 million, most of whom currently live in the capital Baghdad and in the Ninawa governorate, their historical capital. They are also found in sizable numbers in areas and villages such as Talkif, Karakoush, Al Hamdania, Tal Askef, Batnaya, Bartilah, Baashika, Karamlis (Karamlish) also in the governorates of Duhok and its subsidiaries, Arbil, Ainkawa, Sulimaniyah and Karkouk. At the beginning of the last century, the Assyrians demanded their legislative national rights in Iraq centred mainly around constitutionally respecting their identity and cultural specificity, which distinguishes them from other nationalities in Iraq; and not to be treated as fourth grade citizens and less, but to be treated as the original citizens who have the same rights enjoyed by others. These attempts failed and resulted not only in denying their national identity by those that governed Iraq, but worse, resulted in their repression, oppression, killing, and massacre, the greatest example of which is the massacre at Simel in 1933 which resulted in more than 3000 Assyrian victims for simply demanding the simplest of their human rights. The massacre was a turning point in Assyrian political history. After the expulsion of their national and religious leaders by force from Iraq and the exodus of huge numbers of them to Syria, a new stage began, the stage of despair and isolation then scattering which has been the biggest problem we face today. As a result many colonies were formed in the refugee countries. As a result of losing big areas of land in which our people reside, we are in a demographically weak position. The number of Assyrians in North America alone is more than three hundred thousand (300,000) and even larger numbers now live in Europe, Australia, New Zealand, Canada, States of the former Soviet Union, and South America. The situation continued like this until the early 1970's. A new generation of educated Assyrian youth in universities and institutes then began to form groups committed to national and cultural work specific to this original culture in Iraqi society. Between 1970-1980 the political atmosphere in Iraq changed and was subjected to a number of tactical moves by the ruling authorities - after deciding to grant cultural rights for the Syriac-speaking people in 1972, the regime gave Assyrians a chance to establish some cultural foundations such as the Assyrian Cultural Club in Baghdad, Syriac language complex and some cultural associations and social clubs and a Syriac broadcasting station. But this opportunity did not last long, as the authorities' original aim was simply legitimizing its political regime by giving the international forum an image of a regime that respects cultural diversity and takes care of minorities' rights. But the regime simply governed the Assyrians' institutions and inserted their real policies into these Assyrian institutions. Syriac education which was decided to be commenced in the areas whose majority were Assyrians wasn't applied, instead an Arabization policy was followed - in the demographic statistics of 1977 for example it was imposed on the Assyrians to select either Arabic or Kurdish as a nationality according to areas where they lived. Those who lived in areas whose majority were Arabs were registered as Arabs, and those who lived in areas whose majority were Kurds were registered as Kurds and those who insisted on an Assyrian ethnicity were deleted from the lists and changed to Arabic or Kurdish. This was repeated in the statistics of 1987, after which a new stage of Assyrian struggle and national projection against the regime began. An Assyrian organization called the Assyrian Democratic Movement (ADM) was established in April 1979 from the cultural groups and Assyrian educated front. The ADM was the main political organization in the country, which could interpret the expectations of Assyrians in Iraq to be in harmony with the Iraqi situation. Its vision was based on all the different Assyrian sects - Chaldean, Syriac and Nestorian - as one integral people and the heirs of the Mesopotamian civilization of the Sumerian, Akkadian, Babylonian, Assyrian, Aramean and Christian Syriac heritage unified by one ancient language and history full of achievements. Through the journey of Assyrians demanding their cultural and national rights they were exposed to countless human rights abuses, from the arrest of hundreds of them in 1985 to the leaders and founders of the ADM being hanged, to the infamous operations of Anfal in 1988 where more than 200 Assyrian villages were destroyed and the population evacuated and put in compulsory complexes beside thousands of Kurdish villages. After the Second Gulf War in 1991 and the imposition of a No-Fly Zone, Assyrians participated in the regional government and could, through their participation in the decision making process, call for religious and national festivals to be official holidays in the region (for example, the first of April is the Assyrian New Year and the 7th of August Assyrian Martyr Day). The Assyrian people started to exercise their rights to establish clubs and cultural and social centers freely, establish political parties working and struggling publicly and issuing magazines and newspapers in Syriac and other languages. But perhaps the greatest achievement by our people in their long history was the freedom of Syriac education. After the parliamentary elections on 20 September 1992 - when the sons of nations other than Kurdish began learning in their own languages of Syriac, Turkoman, and Arabic - there are now more than 30 elementary and secondary schools in the region in which more than 5000 students learn mathematics, chemistry, physics, history, geography, literature and so on, in their native Syriac language. About 100 books have been printed in Syriac and between 2000 to 3000 copies for every edition. Their cost exceeded millions of Iraqi Dinars. The world now moves toward globalization and information technology, respect of human rights and multiculturalism. We think that the confirmation and fixation of these concepts in our country is the only guarantee for security, stability and prosperity and the basis for their national unity in the future. (ZNDA: New Delhi) Soon the presidential contest will commence in India and this year one key contender is an Assyrian Christian from the Kerala region. He is the 81-year-old governor of Mahrashtra, Dr. P C Alexander, an old-time politician in India. 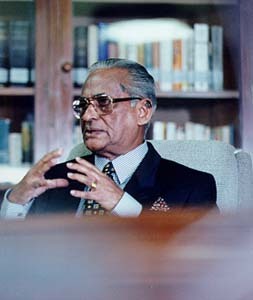 Dr. Alexander served as the principal secretary to late Rajiv Gandhi, son of the late Prime Minister Indira Gandhi. Mr Alexander has a huge reputation for administrative efficiency and personal integrity. His Christian background is seen as an asset which can come in handy to bolster its depleted stock among minorities. The momentum in favour of Dr. Alexander and the readiness to force a contest depends on the support from several Indian political parties, namely the Nationalist Congress Party (NCP), Bahujan Samaj Party (BSP) and the All-India Anna Diravida Munnetra Kazhagam (AIADMK). On the other hand, the principal opposition, Indian National Congress has stressed its willingness to support Mr SHRI K. R. Narayanan's bid for a second term in office. Shri Kocheril Raman Narayanan assumed office as President of India on July 25, 1997. " The party simultaneously described Mr Narayanan as "one of the exceptionally good Presidents." The Left has already indicated its preference for the incumbent. Given his track-record, Mr Narayanan, who shares a "blow-hot-blow-cold" relationship with the BJP-led government, does not have many takers in the ruling coalition. o Ten years in senior posts in the U. N. Civil Service. (ZNDA: Los Angeles) Professor Robert Englund of the University of California-Los Angeles (UCLA) hopes to finish gathering, cataloging and photographing thousands of ledgers, deeds, annual reports and receipts from ancient Mesopotamia. 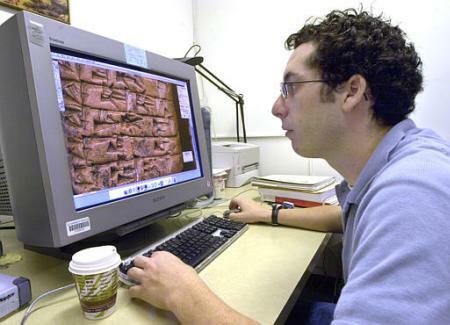 He is spearheading the effort to create an Internet library of the cuneiform, or ``wedge-shaped,'' texts -- clay tablets that are the earliest written documents. 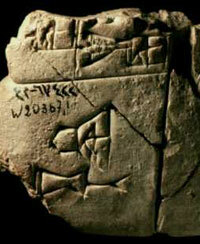 He is focusing on tablets inscribed in the distinctive script between 3300 BC and 2000 BC. "We are hoping to bring the richness of Mesopotamian culture to anyone who works on anything," said Steve Tinney of the University of Pennsylvania, which is compiling a Web-based dictionary of Sumerian, the first written language. "We have agriculture texts, magic texts and medical, legal and religious texts. This is a treasure trove that has not been exploited." About 120,000 cuneiform texts from the third millennium BC alone are scattered throughout the world. Thousands more are plundered each year in Iraq and dumped on the world antiquities market. Tablets even show up on Web auction site eBay, where bidding can start at only $1. The joint project of UCLA and Germany's Max Planck Institute for the History of Science is funded in part by a $650,000 grant from the National Science Foundation through its Digital Libraries Initiative. It is part of the Cuneiform Digital Library Initiative, started in 1998. When completed, the virtual cuneiform library will include publication, excavation and collection information about each tablet where available, as well as images and a description of its content. About 60,000 texts are now online. ``It's like being able to walk into the tablet room of a museum and pick up the actual tablets -- but this can be done from any corner of the planet and by any number of individuals at one time,'' said Gene Gragg, director of the University of Chicago's Oriental Institute. Currently, cuneiform students might have to visit collections in England, Germany, Norway, Russia and the United States to see tablets from any particular period. The best-known cuneiform texts include the earliest known creation myths, legal codes, medical prescriptions and recipes for beer. Most, however, are more mundane. Records of the sale of domestic animals or land are typical. The detail they contain, however, is unparalleled for any other period in history until perhaps the rise of the Venetian empire in the 1200s. ``It's simply going to change the way we work,'' Tinney said. (ZNDA: Sydney) One of the most expensive assets of Karl Suleman was sold at auction on 18 May 2002. An undisclosed Brisbane property developer has paid $2.3 million Australian dollars for Suleman's luxury cruiser. Suleman bought the 20.9-metre boat at a cost of $A 3.3m in 2001. Other assets belonging to the former high-flyer have previously been sold, including four houses and a number of luxury cars, such as Ferraris, BMWs and a Lamborghini. A day before the sale of his yacht, Suleman was cross-examined over his failed investment scheme. Suleman told the court that before his company, Karl Suleman Enterprises (KSE) was closed down, he had handed up to $A 13 million to the agents of the unregistered scheme. It appears that some of the agents considered the payment a commission. Although the scheme included a practice where investors would be repaid 10% of the amount invested it appears that many investors did not receive their rebate. One witness, Elizabeth George, admitted, under questioning by legal representatives for the KSE liquidator Horwath, that she placed $A 800,000 into a private account of a company she controlled, E George Investments. She admitted to acting under instructions from her husband, a former proprietor of Quick Loan Services. She also admitted to having the equivalent of $A 600,000 in a domestic account in Fremont, California, the town of residence of her husband's parents. George also admitted to leaving Australia with her husband, Jessy George, after being warned to do so by Karl Suleman. The liquidators are seeking Jessy George and an alleged accomplice Adam Oshana in an attempt to obtain information concerning the $A130 million collapse of KSE and the whereabouts of millions of dollars that are missing from KSE accounts. The city of Fremont is just north of San Jose, California and residence to hundreds of Assyrian families. Good work Zinda for recognising the great work of Mr. Yoaw T. Kanna. I have lived in Australia for 33 years and during this time I have seen many community leaders come and go but we have only had one visionary leader and that is Mr. Yoaw Tooma Kanna. Mr. Kanna is a leader who brought from his homeland the love of his people and a clear vision. He succeeded in instilling his passion for 'umta' in the hearts of others and that is why the Assyrians of Sydney were able to achieve so much during his leadership. He prepared leaders for the future and when it was time he stood a side for others to lead. Now, that is a leader. Mr. E. Kanna listed very few of Yoaw's achievements but let me tell you, we are still reaping the fruits of his work. [The said article "Y. T. Kanna, A Man On A Mission" can be visited at http://www.zindamagazine.com/html/archives/2002/4.29.02/index.php#Bravo. The 36th annual Smithsonian Folklife Festival will explore the cross-cultural influences among the lands of the ancient and fabled Silk Road, from Japan to Italy. The 2002 Festival, "The Silk Road: Connecting Cultures, Creating Trust," will be held outdoors on the National Mall between 7th and 14th streets Wednesday, June 26 through Sunday, June 30 and Wednesday, July 3 through Sunday, July 7. Admission is free. The Festival will be an international exhibition of Silk Road traditions with some 350 musicians, artisans, cooks and storytellers from the United States and more than 20 other countries telling the complex story of the Silk Road, its peoples and cultures, and the intercultural exchange it inspired. The Festival will be laid out along the National Mall with magnificent pavilions that evoke the look and feel of Silk Road architecture. Visitors will follow the Silk Road from Nara, Japan (the pavilion closest to the U.S. Capitol) to Venice, Italy (the pavilion closest to the Washington Monument). On the way, they will pass through Xi'an, China; Samarkand, Uzbekistan; and Istanbul, Turkey. On the way, visitors will pass three Assyrian contributions: singers and musicians, jewelry makers and a calligrapher. Ten Assyrian singers and musicians are coming from Qamishly, Syria, two Assyrian jewelry makers from Midyat, Turkey, and the calligrapher is none other than the very talented Issa Benyamin of Iran and Illinois. The sponsorship for most of the Assyrian participation is borne by the Smithsonian festival itself but part of the expenses also come from individual members of the Assyrian community in the United States, especially Mr. Afram Koumi. Assyrian businesses that want to sell items in conjunction with this two week festival need to contact the Assyrian Star immediately for details (theassyrianstar@aol.com). The Festival is produced in partnership with The Silk Road Project, a global initiative founded and led by renowned cellist Yo-Yo Ma in coordination with a distinguished team of scholars, musicians and artists from around the world. Special passports for young visitors will be available at Passport Stations around the Festival. The passports will feature a foldout map and fun facts. Children may have their passports stamped when they visit each pavilion and will receive a reward at the end of their Silk Road journey. Festival hours are from 11 a.m. to 5:30 p.m., with special celebrations, performances and concerts continuing until 9 p.m. This is a wonderful opportunity to expose the thousands (over 1 million) visitors to Assyrian contributions to Silk Road civilization. Plan one of your summer vacations about this event. Bring your children. Recent negotiations between the United Nations and Iraq ended inconclusively. In the past three years the Baghdad regime has repeatedly obstructed efforts to resume monitoring of its program to produce weapons of mass destruction. As a result, military action led by the United States seems inevitable. While U.S. allies, including Turkey, have so far resisted plans to invade Iraq, they would welcome a role in developing political and security arrangements for Iraq after its dictator Saddam Hussein is overthrown. Defining the end-state would encourage potential coalition partners to participate, when called upon. It would also help assuage countries like Turkey, by signaling America's commitment to stability. States bordering Iraq will resist efforts to depose Saddam until their concerns about chaos and fragmentation are addressed. The Bush administration places special value on relations with Turkey. As a secular, democratic, majority Muslim country, Turkey is a key partner in the global war on terror. It is slated to assume command of the multinational force in Afghanistan. Should military action be required against Saddam, Turkish bases would be an essential staging ground for an air campaign and humanitarian intervention. But Ankara has stated publicly that it opposes a U.S.-led invasion of Iraq. It worries that military action would create a power vacuum, destabilize the region and encourage separatism among Turkish citizens of Kurdish origin. Turkey is also concerned about the economic consequences of conflict with Iraq. As a result of sanctions imposed after the Gulf War, Turkey estimates that it may have lost as much as $40 billion in trade and revenue. The Bush administration's position is clear. By whatever means, it will seek removal of Saddam and establishment of a federal democratic republic in Iraq. But such objectives cannot be achieved without Turkey's participation. The United States must satisfy Turkey's demand not to undermine the territorial integrity of Iraq. On the other hand, America wants to help Iraqis fulfill their long-suppressed democratic aspirations. Iraqi Kurds and others have suffered terrible abuses under Saddam's tyrannical rule. Kurds will not easily relinquish their dream of independence unless they are assured a secure and prosperous future in a unified Iraq. Establishing a federal democratic republic represents a structural solution, which can help reconcile Turkish concerns with Kurdish aspirations. To this end, Iraq could be divided into three entities: a Kurdish, Turkmen and Assyrian region in the North, a Shiite Arab area in the South and a Sunni Arab belt in the middle. There would be a clear demarcation of boundaries between the entities. For example, Iraqi Kurdistan would encompass Kirkuk as well as other traditional tribal lands north of the 36th parallel. While the central government in Baghdad would retain jurisdiction over defense and foreign policy, a highly decentralized system of governance would include a local executive, assembly and a security apparatus controlled by regional authorities. Local government institutions in Iraqi Kurdistan would reflect power-sharing provisions between the Kurdistan Democratic Party of Massoud Barzani and Jalal Talabani's Patriotic Union of Kurdistan; Turkmen and other minority groups would also be fairly represented. In addition to local self-rule, Kurds would be allocated key central government ministries and share responsibility for border control and customs collection. Baghdad would continue to manage the country's energy sector. The Kurdish entity would be allocated a predetermined percentage of the country's overall oil income at least equal to the 13 percent of oil revenues it currently receives via the UN Oil for Food Program. Central government control of the national oil industry would discourage Kurdish nationalism, as well as separatism among the Shiite population of Basra, a rich resource region near Iran. Such constitutional arrangements would simultaneously meet Kurdish aspirations and address Turkey's primary requirements. A buffer zone between Turkey and Iraq would help deter incursions by armed groups. A commercial agreement could expedite cross-border transport and trade. And provisions would need to be enacted to protect the rights of ethnic minorities, including 2 million ethnic Turks in Northern Iraq. There is widespread agreement that the world would be safer without Saddam, but debate persists on how to achieve this goal. Focusing on the end-state would advance cooperation and help harmonize the ambitions of stakeholders in the region. The writer, a senior fellow and deputy director of the Center for Preventive Action at the Council on Foreign Relations in New York, contributed this comment to the International Herald Tribune. Reading Scott Russell Sanders' essays is like going for a long walk in the woods with a close and calm, yet uncannily observant, friend. Sanders, who has written many works of fiction and essays, illuminates the oft-overlooked places of our lives: the depths of our minds or bodies, the rhythms of our small, slow-paced towns and congested cities, or the vast mysteries of the world's wilderness. "The world is being ground to bits," he writes in "Dust," an essay in Secrets of the Universe: Essays on Family, Community, Spirit and Place (Beacon, 1991). And as his thoughts slowly settle, we are swept into his stream of consciousness. "Dust from that friction spirals in the sunlight before me, a galaxy of gleaming specks. With a steady fall that might sound, if amplified, like tribal drumming, dust settles onto the dark walnut surface of the table where I sit on our front porch. Night and day, indoors and out, the rain of infinitesimal debris never ceases." Sanders, a longtime English professor at Indiana University in Bloomington, possesses a potent sense of place and a deep perception of the force of spirit, whether that spirit resides in the body of a two- or four-legged creature or the clover and grass that grew around the small family farm where he spent his boyhood in Portage County, Ohio. "There's no question that I've been shaped by my past," said Sanders, descended from Mississippi farmers on his father's side and ethnic Assyrians on his mother's. "There are things that they loved that I learned to love, and among those are living things - plants, flowers, trees, all sorts of creatures, wild and domesticated animals." 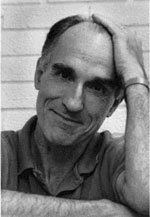 Sanders has passed that love on through inventive fiction and eloquent essays that have been included in several editions of Best American Essays and that earned him a Lannan Literary Award and a Great Lakes Book Award. Sanders could be considered a modern transcendentalist who gently but firmly confronts the dilemmas of our time and the mysterious nature of the world in which we live. The Force of Spirit, Staying Put: Making a Home in a Restless World, and Writing From the Center reflect a fascination with the inner workings of the heart and mind. Writing with honesty, wit, respect and pure joy, he explores the places where the sacred intersects the ordinary. Sanders started out studying physics and had completed 80 percent of the course work required to earn his degree at Brown University. But a last-minute decision to study literature changed his life. "I left physics for many reasons, but one of them was the sense during the Vietnam War that I really was dismayed by the way science had been harnessed by the war machine," he said. Sanders won a Marshall Scholarship and went off to Cambridge University to earn a doctorate in English. There he began to write fiction, having his short stories published in London's Transatlantic Review, the Kenyon Review, Georgia Review and Ohio Review. Gradually his fiction was published in book form. His first novel, Bad Man Ballad (published in 1986 by the now defunct Bradbury Press), was based on an actual murder that took place in 1813 in Portage County. The second, Terrarium (Indiana University Press, 1985), is a futuristic story set in the late-21st century, when humans retreated to a life indoors because of ecological devastation. Engineer of Beasts (Orchard Books, 1988) also is set in the future with a similar background. The characters live inside domed cities, travel through tubes, and visit and work in "disneys," the author's term for a zoo populated by artificial animals. "People never go outside, and humans have been insulated from the wilds because the wilds have been so contaminated," Sanders said. "Inside the cities, instead of having zoos with live animals, they have disneys, filled with mechanical or robot animals, and people make no distinction between real animals and imaginary ones." "The novel is about the psycho- logical, emotional and spiritual effects of isolation from nature," Sanders said. "In many ways, it's a meditation on where we're heading." Despite his talent for writing thought-provoking novels and children's books that reflect where we are and where we might be heading, Sanders began to work in an entirely new genre not long after his two children were born. "I began writing essays in the fall of 1978. I know the date because I was on sabbatical in Eugene, Ore., for the year, and the younger of my two children turned 1," Sanders said. "And the month that he turned 1, I started writing essays, prompted by thinking about the world that my children were inheriting." Working in the essay form permits Sanders to contemplate the future more honestly than writing fiction would. "The essay allows one to address concerns about contemporary society directly, as opposed to a metaphor or as something that's the background fact about a character in a work of fiction," he said. "Certainly for me, the writing of essays has been an effort to clear up some confusion in my life, to find direction more clearly, to understand bewildering or puzzling aspects of the world. I still have my uncertainty. But I have a clearer sense of who I am and what I live for and what my life means." According to Don Nardo's book "The Assyrian Empire" on this year the last Assyrian ruler was defeated in the city of Harran and then "the Assyrian nation ceased to exist." Zinda Magazine's relentless boycott of Mr. Nardo's historically inaccurate comment on Assyrians immediately followed its publication by Ludent Books in 1998. Mar Emmeh, the Bishop of the Church of the East for the Nineveh Province, provides provisions to the conquering Muslim armies and yields the lands of his church to them. For his cooperation with the Muslim commander he was rewarded the Patriarchate in A.D. 646. Assyrians as Christians were persecuted during the Sassanian rule in Persia and welcomed the conquest of the Arab Muslims as a possible end to the demise of their church in Persia. "Identity and Institutions Among Assyrian-Iranians in the United States"
An examination of the patterns of departure and arrival from Iran, the discovery of an expanded Assyrian identity in a milieu that began to include refugee Assyrians from other parts of the Middle East, tied by religion but not language, to Iranian Assyrians. 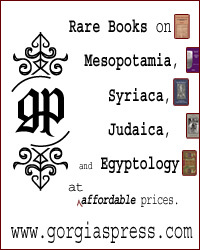 Due to special efforts exerted over the past twenty years at Harvard University and at the Ashurbanipal Library in Chicago, a record of printed materials and photographs affords an opportunity to study the issues facing the Assyrians from Iran as they settled in New York, New England, Chicago, and California. Semi-Formal Dress, no jeans or gym shoes. "The Silk Road: Connecting Cultures, Creating Trust,"
Included are three Assyrian contributions: singers and musicians, jewelry makers and a calligrapher. Ten Assyrian singers and musicians are coming from Qamishly, Syria, two Assyrian jewelry makers from Midyat, Turkey, and the calligrapher is none other than the very talented Issa Benyamin of Iran and Illinois. Festival hours are 11 AM to 5:30 PM. with special celebrations, performances and concerts continuing until 9 p.m.